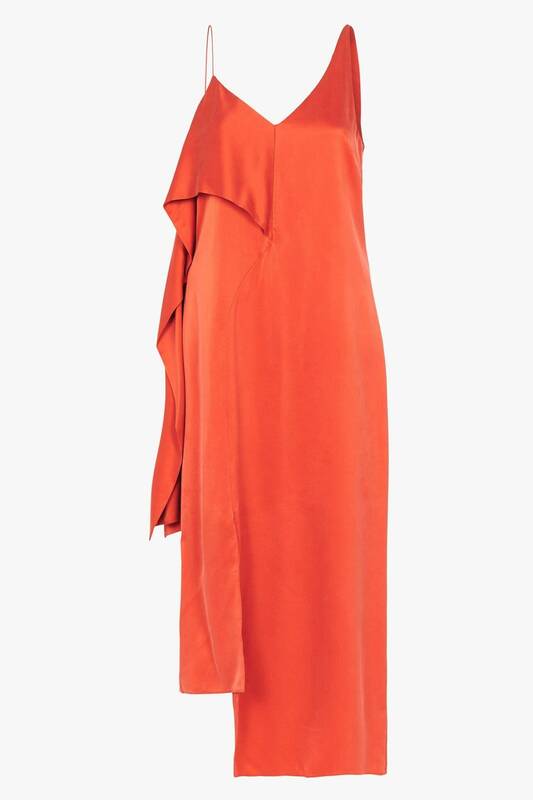 For sale is this stunning Sass & Bide Reaching Zenith russet burnt orange silk dress fully lined. The silk is very thick. New with tags size 36 or 6. RRP $490. Feel seductive in this shapely slip dress in the season's hottest colour: russet. The asymmetric camisole neckline accentuates the bust before cascading down to a stepped hem with side front split. In sandwashed silk and satin, this relaxed fit dress, featuring an eye-catching asymmetric tier overlay, is simple sophistication. Wear with a slim heel and understated accessories. Made from 100% sand-washed silk, and we recommend caring for this product by dry clean only (P).